When Raghuram G. Rajan took charge as Governor of the Reserve Bank of India in September 2013, the rupee was in free fall, inflation was high, India had a large current account deficit and India’s exchange reserves were falling. As measure after measure failed to stabilize markets, speculators sensed a full-blown crisis and labelled India one of the Fragile Five economies. 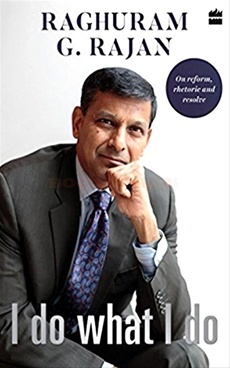 I Do What I Do offer a front-row view into the thinking of one of the world’s most respected economists, one whose commitment to India’s progress shines through in the essays and speeches here. It also brings home what every RBI Governor discovers for himself when he sits down at his desk on the 18th floor: the rupee stops here. Right here!